Grand Island resident, Carol L. Nowka, 76, went to the Lord Monday, February 4, 2019, at Good Samaritan Society – Grand Island Village, Grand Island, NE. Memorial Services are 10:30 a.m. Friday, February 8, at Butler Volland Chapel in Hastings with Pastor Dan Brenton officiating. Burial will be at Parkview Cemetery in Hastings. In lieu of flowers, memorials may be given to St. Francis Cancer Treatment Center, 2116 W. Faidley Avenue, Grand Island, NE 68802 or Grand Island Evangelical Free Church, 2609 S. Blaine Street, Grand Island, NE 68801. Book signing will be 9 a.m. – 5 p.m. Thursday and one hour prior to service at the funeral home. Carol was born March 25, 1942, in Loup City, NE to Roy V. & Irene G. (Miller) Alleman. She received her Master’s degree from Phoenix University and was employed as a medical technologist. Later Carol received her CFP (Certified Financial Planner) license, the first female in the state of Nebraska to do so and built a successful financial planning business. Carol married Eldon W. Nowka on June 2, 1963, in Eustis, NE; he preceded her in death on March 12, 2008. She was an active member of Evangelical Free Church in Grand Island. Carol was an author and in pursuit of writing another book at the time of her death. 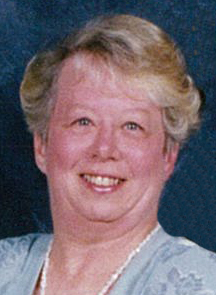 She was active in many community organizations throughout her life. With a passion for travel, Carol traveled to many corners of the world and was a pilot herself. Carol loved the Lord and touched many hearts. Carol was preceded in death by her parents and husband, Eldon W. Nowka.